With the world moving toward a global village, the Internet of Things (IoT) is breaking technological barriers to ensure a truly global world. One of the areas in which the IoT can be leveraged efficiently is that of obtaining reliable building performance data that displays how a building functions with respect to its inside environment, natural environment and users. Building performance data enables a building’s management system to be proactive in activities concerning the infrastructure. One of the best methods through which reliable building performance data can be gotten is by leveraging the IoT. A sensor essentially is a device that detects or measures physical inputs (smoke, humidity, temperature etc.) and either reacts to that input or send information concerning the input to a system. To collect building performance data, sensors have to be installed in different locations to account for varying physical inputs. This could lead to a building having anywhere from a few sensors to hundreds. Each sensor independently collects and reacts to its respective input. This, however, does not make the job of the collecting, interpreting, harmonizing and drawing of meaningful information from these sensors easy. The complexities of operations involving sensors from possibly different manufacturers, which are not inter-communicating, are prone to certain inherent errors that lead to non-reliable building performance data. The IoT establishes interconnectivity between sensors, establishing a synergy with respect to the type of building performance data being delivered. Each sensor when leveraging IoT for building performance data no longer acts as an independent device, but as part of a system with the other sensors. IoT being leveraged on the cloud provides a constant and secure backup for all data being pulled from the sensors, actuators and other devices responsible for providing building performance data. It ensures continuity in data collection by other devices when one device malfunctions. This continuity ensures that data is never lost or altered by other systems, and guarantees remote access of real-time building performance data. IoT repositories are the best way to go in obtaining reliable building performance data. This source of building performance data is best for developers who are still looking in to executing a structure. The reliability of this data is based on the one of the key functionalities of IoT – that of collecting data from numerous sources and harmonizing it to give actionable information. Based on the ability of the IoT to pull data from several devices and secure them through the internet and cloud-based technology, developers can pull out the exact kind of building data they need to enable them build the right kind of structure. The accuracy of data from IoT repositories allows for reliable scenarios to be tested on virtual buildings with accuracy and comparative results. The great aspect about building IoT is their ability to be seamlessly incorporated in to any existing system. IoT does not come with any preprogrammed system, which must be installed and used independently. Rather, it is like a generally receptive plug-in, which fits easily while augmenting performance. Building management systems like the devices from which they pull data essentially run on a 1+1 = 2 system. Such a system provides unreliable data about the building because the devices in the building are not interconnected. 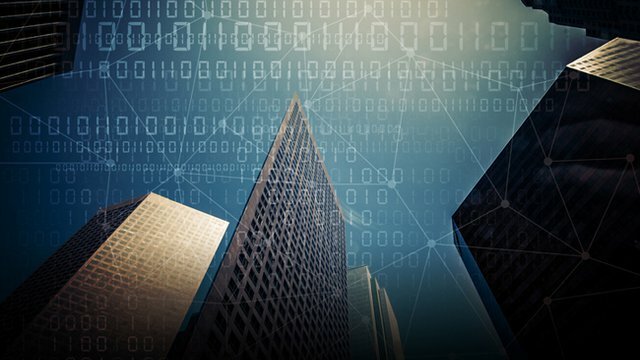 Through the incorporation of IoT in to building management systems, building analytics could begin to present comparatively more reliable data. The interconnectivity between the devices creates a synergy that looks more like 1+1 = 3. This is because devices do not communicate isolated data, but correlate this data with that of other devices to present a more reliable building performance data. Actuators are the mechanics by which a device acts upon an environment. Actuators respond by performing specific motions upon reception of a signal. This implies that the accurate measurement of each and every actuator movement could provide critical information as to the performance the subject the actuator is reacting to. Typically, a smoke sensor will spray out water when it detects a particular concentration of smoke. However, even before the smoke reaches such a critical level, minute levels of smoke cause movements in an actuator. Though these movements do not necessarily lead to water being sprayed, a measurement of every actuator movement could provide very accurate data with respect to the building. Principally, IoT uses sensors and actuator to provide very reliable building performance data, which might not be picked up or ignored by other systems.